The Society does not just stop working on projects on properties that we own, we also are happy to help local and federal governments with preservation on properties under their jurisdiction. We have written grant applications for the San Juan County Courthouse that restored its exterior stone work, staircases and clock tower. We wrote the first grant for the Miner's Union Hospital that restored the roof, re-pointed the brick and worked on windows. It also paid for re-grading around the foundation for better drainage. We are also working on the facades of two privately owned downtown buildings that were damaged by fire. We serve as the umbrella organization for the Blair Street Historic District Association, Silverton Skijoring, Silverton's Step Back In Time Event, and proud to be a part of the Red Mountain Task Force. The Red Mountain Project began in 1998 as a regional effort to protect 10,500 acres of scenic and historic landscapes, preserve numerous historic mining and railroad sites, and provide enhanced recreation and interpretive opportunities along the San Juan Skyway. 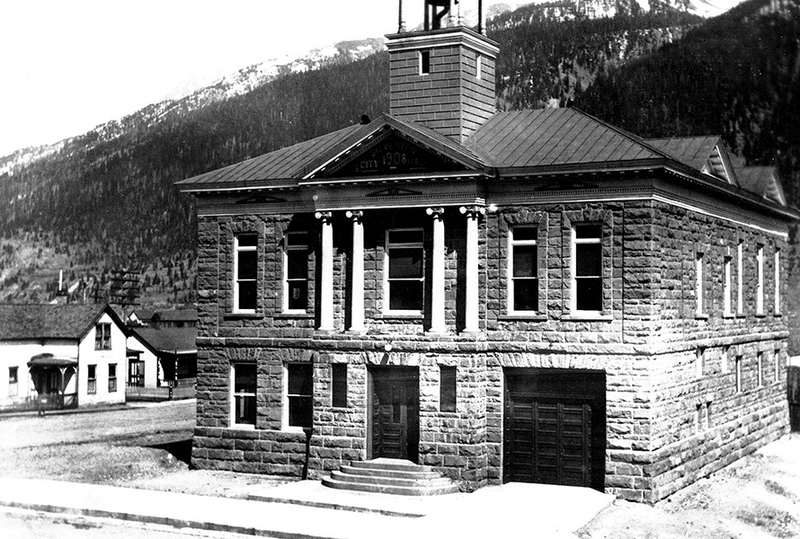 The Silverton Town Hall, one of several buildings built shortly after the turn of the century, exemplified prosperity and pride of its people. Built primarily of local materials, it was considered a hallmark on the Western Slope of Colorado. Used not only as the seat of town government, it functioned as a meeting place for many groups throughout its long and colorful history. On November 30, 1992, at approximately 3am, fire struck this magnificent structure. 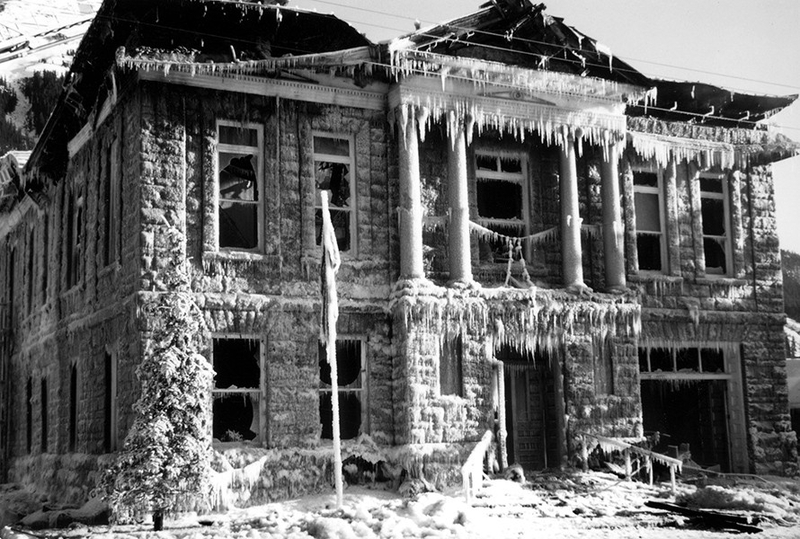 With the efforts of three fire departments, temperatures close to -20 degrees F. and 6 hours of intense fire fighting, it was finally brought under control. 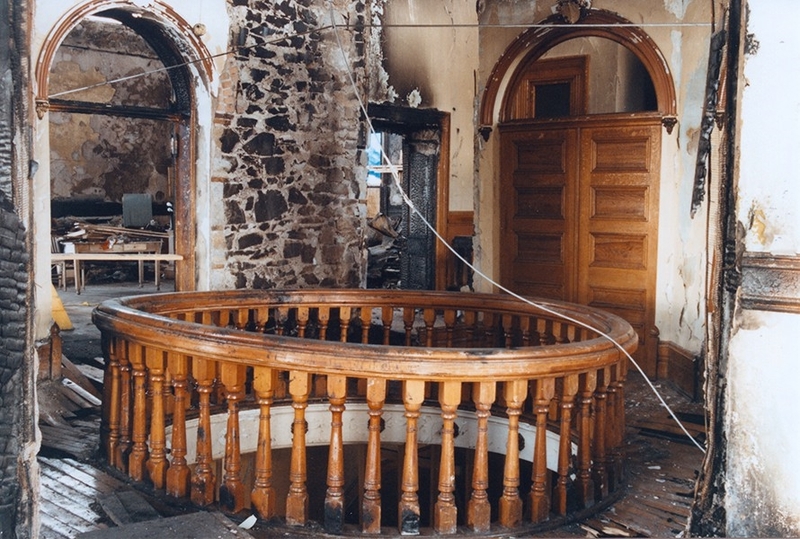 With severe damage to the interior and a total loss of its roof, little was saved except the contents of its vault and the exterior sandstone facade. Fortunately, no major injury or life was lost. The fire could not have occurred at a worse time. 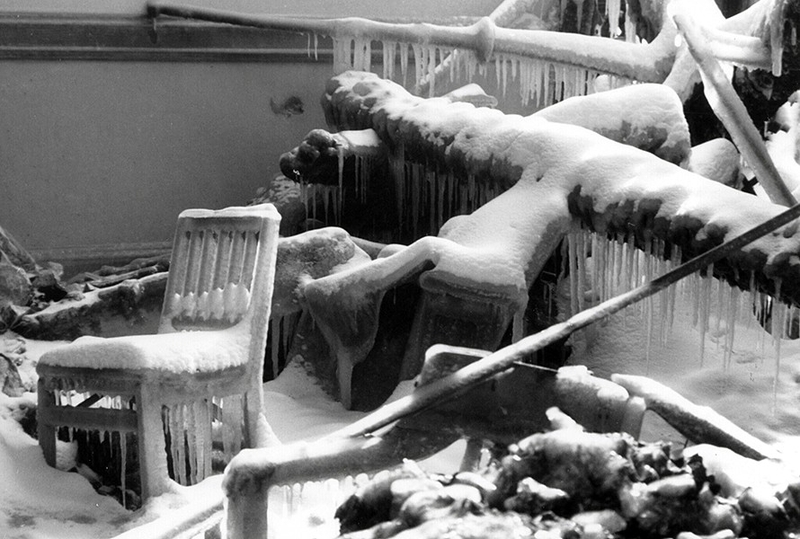 It was a beginning of a "San Juan Winter". 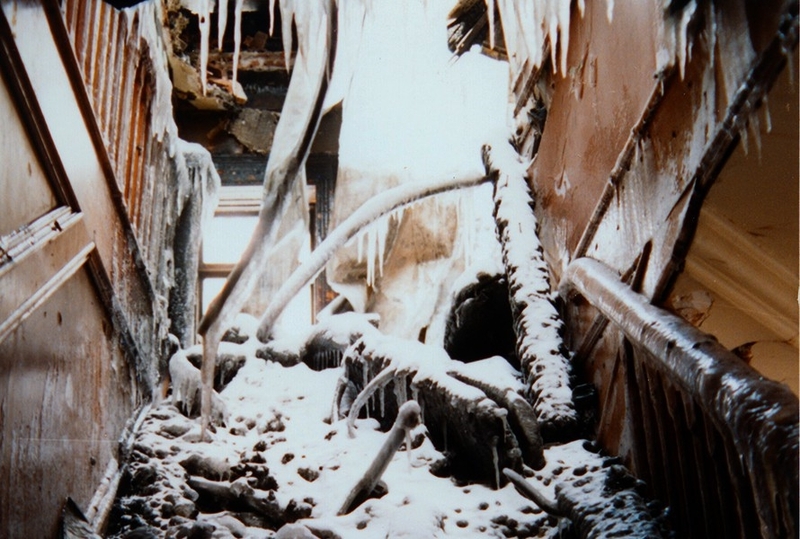 The entire stabilizing project was started and finished under harsh winter conditions, with the last of the temporary roofing installed February 13, 1993. 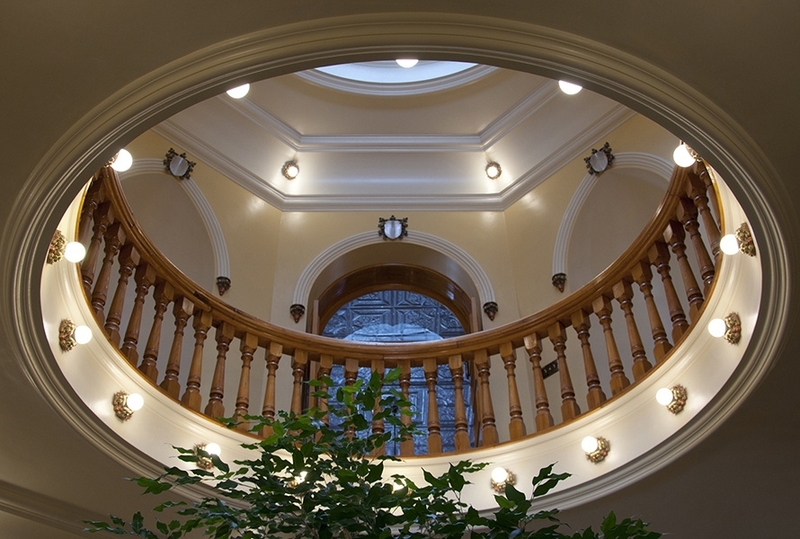 The Society also works on projects of properties that we do not own, and we are happy to help local and federal governments with preservation on properties under their jurisdiction. 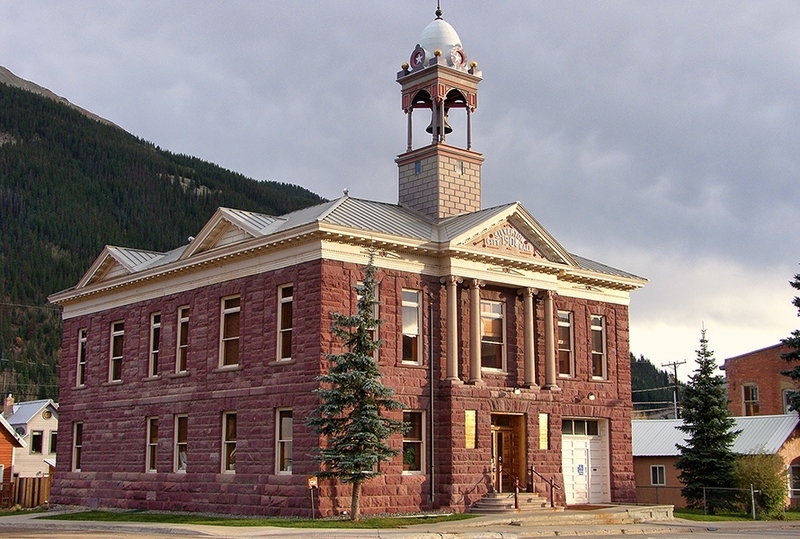 We have written grant applications for the San Juan County Courthouse that restored its exterior stone work, staircases and clock tower. We wrote the first grant for the Miner's Union Hospital that restored the roof, re-pointed the brick and worked on windows. The grant also paid for re-grading around the foundation for better drainage. We are also working on the facades of two privately owned downtown buildings that were damaged by a 2012 fire. We serve as the "umbrella" organization for the Blair Street Historic District Association, Silverton Skijoring, and we are proud to be a part of the Red Mountain Task Force. The Red Mountain Project began in 1998 as a regional effort to protect 10,500 acres of scenic and historic landscapes, preserve numerous historic mining and railroad sites, and provide enhanced recreation and interpretive opportunities along the San Juan Skyway. When the Society obtained the Mayflower Mill, we also got the water rights to Arrastra Creek. We know that in the West, you either use them or you lose them, so we set about figuring out ways to use our water rights. One project came up early-on regarding installing a little hydro-electric plant to make electricity for the Mill. The property includes an existing pipeline which flows down Arrastra Gulch and across the Animas River to supply the water treatment plant at the Mill. The water treatment plant supplies clean drinking water for the Shenandoah-Dives Mill and the small businesses located at the historic Animas Power and Water Substation which was rehabilitated by Society. This pipeline follows the path of the 1900ca. Mears/Wilfley (Otto Mears and Arthur Redmond Wilfley) pipeline which brought tailings down from Silver Lake to the Mears/Wilfley Mill. Remnants of the pipeline are still visible. The present pipeline was installed in 1929, but significant portions of it had been replaced by more modern materials through the years while the Mill was in operation. In addition, the Society made repairs to the bridge which brings the pipeline across the Animas River from Arrastra Gulch to the Mill in 2008, when the support on the west side of the river failed. The project included the repair of the existing intake in Arrastra Gulch in order to increase water flow; repairs to leaks in the pipeline; installation of a powerhouse adjacent to the Mears/Wilfley Mill ruins; and installation of a micro-hydro turbine. In order to determine the feasibility of the micro hydro-electric project, the San Juan County Historical Society submitted a grant application in October of 2008 to the Colorado Water Resources and Power Development (CWRPDA) requesting funding to complete a feasibility assessment. The analysis indicated that structural repairs to the intake could provide a year-round flow of at least 1.25CFS into the pipeline, available excess flow and pressure would be able to support installation of an 8kw micro-hydro turbine while still providing sufficient water to supply the water treatment plant at the Mill. We then applied for and received the first "sustainability" grant from the Colorado State Historical Fund to install the hydro plant. The project was built by local Silverton contractors Fullmer Construction and Silverton Electric. The project was highly successful until we started the FERC permitting process, and we found that we had to jump through all the hoops that a new Boulder Dam would have to. We became the poster child in getting the only bipartisan legislation passed in the last six years in Congress. A bill was introduced in the House called the Hydropower Regulatory Efficiency Act. The bill¶s main focus was to clear much of the red tape associated with permitting small hydroelectric power projects, mainly those generating less than 5-megawatts of electricity. It passed the house 422 to 0. A bipartisan bill called the Hydro power Improvement Act of 2013 to encourage expanded hydropower production in the United States was introduced in the Senate. The bill removed licensing barriers for smaller hydropower development and would require a study on a streamlined permitting process at existing dams and pumped storage products. It passed the Senate in 2014. The Hydropower Regulatory Efficiency Act created a 'regulatory off-ramp" from FERC permitting requirements for non-controversial hydro projects on existing conduits such as pipelines and canals which are less than 5-megawatts. Per the language in the bill, the San Juan County Historical Society sent the first application for an exemption in the State, and it was approved. Now the plant is up and running and making power which we are getting credit for every time we get our bill. Having been through this adventure, we feel that we have been a part of the history of the hydro-power industry in the San Juans by helping to make this really huge change in the law, in this, the cradle of AC power history. Through the years, the society has received many grants from the Ballantine Family foundation. These grants usually range in the $1,000-$2,500 amounts. The first grant that we received was one for an index to early newspapers which was done by Archivist Allen Nossaman. In the ensuing years we have gotten grants to buy new computers and office furniture for the archive, and for the rebuilding of our Website. One year we received funding for map cases for the vault. The Silverton Standard and the Miner has also received grants from the Ballantine Family Fund for a new computer, camera and a new police scanner. After purchasing the weekly Durango News and the daily Durango Herald-Democrat, Morley and Arthur Ballantine immediately merged the two to create The Durango Herald-News and then, the Durango Herald in 1960. They established the Ballantine Family Fund in 1957 to award grants to any non-profits that they felt would enhance life in Southwest Colorado. The Ballantine Family Fund is headquartered in Durango, CO.
Red Mountain Project One of the "Jewels of Colorado" is the scenic and historic Red Mountain Mining District. This 24 mile stretch of road, known as the 'Million Dollar Highway", has been identified in the corridor management plan of the San Juan Skyway National Scenic Byway as one of the most beautiful stretches of road in the United States, and that its protection is of concern to all of Southwestern Colorado. The Red Mountain Project grew out the concern in Ouray and San Juan Counties that the few remaining structures that date from the glorious silver mining days of the 1880s-1890s were in imminent danger of collapse, succumbing to time and weather. A group of citizens were appointed by the County Commissions to find ways to protect the scenic and historic resources on Red Mountain Pass. They became the "Red Mountain Task Force". The Task Force initially identified 36 sites as endangered. One of those sites was the Silverton Railroad bed. At least 2 miles of the bed had recently been destroyed by loggers using the bed to dredge logs off of the hillside. Of those sites, six were identified as most at risk. These were the Silver Ledge Tram House, The Koehler Boardinghouse, the Colorado Boy Head frame, and two houses at the ghost town of Ironton. Over $60,000 in grant funds were received from the State Historical Fund to stabilize these structures. The Ouray and San Juan County Historical Societies raised the match. All of these structures are privately owned and were stabilized with owner permission. The Gates Foundation has provided funds to keep this model program going in the greater San Juans. Most of the hundreds of thousands of visitors annually who pass through the District do not realize that most of it is private land. Most of the folks who come and 4-wheel through the District over Corkscrew Gulch do not know that most of it is private land, and large tracts of that land are for sale. Having identified the "Million Dollar Highway' a major draw for tourists in Southwestern Colorado, a region that depends on tourism for its living, the Task Force concluded that potential resort and residential development and logging were threats to the resource and that the private land for sale should be acquired and put into public hands. The Mayflower Mill, located at 9,360 feet in the rugged and spectacular San Juan Mountains of southwestern Colorado is Silverton, a National Historic Landmark. San Juan County was once a major gold and silver mining area, bustling with 4 railroads transporting the rich ores from the high mountain camps. Through most of the last century, mining has played a major economic role, providing high-paying, steady jobs, and stability for the region. But in 1991, the gold mining era ended when the 125-year-old Sunnyside Mine, the last, large commercial mine in San Juan County, ceased operations. Low base-metal prices and diminishing gold and silver reserves forced the great mine to close. In its colorful lifetime over 900,000 ounces of gold were produced, millions of ounces of silver, and tons of base, metals. Sunnyside Gold Corporation, its operator, immediately implemented the 10.5 million dollar reclamation plan required by its mining permit, which included sealing the mine with concrete plugs to stop mine drainage. However, that permit also required that the historic Mayflower Mill be torn down and the site reclaimed. Once the West had hundreds of precious metals mills. Now only a handful remain, and most are in various stages of ruin. The Mayflower Mill was the last major accomplishment of Charles A. Chase, a metallurgist and successful mining man. 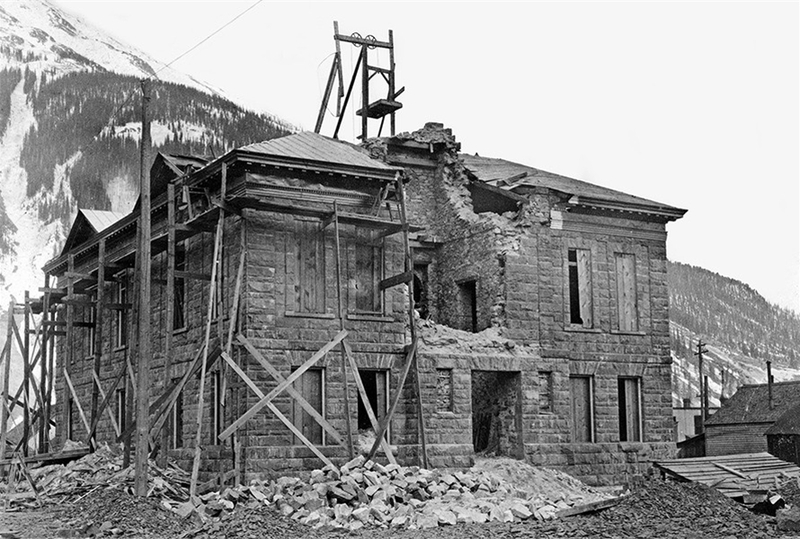 Due to the depression in the 1930s, most mining companies throughout the West were demolishing mills and other mine structures to reduce tax and insurance liabilities. But Chase gambled that base metals - lead, copper and zinc could carry the costs of operation, with a little profit coming from gold and silver. To improve productivity and processing efficiencies, Chase designed the newest, most modern mill ever. The Mayflower Mill also incorporated new environmental processes. Instead of dumping waste rock into the rivers as had been historically done, Chase pioneered holding, or tailings ponds, to hold waste material. Over the years, the Mill was operated by a number of owners, including the Shenandoah Mining Company from 1929-1952. Not all ran smoothly. In 1939, the Shenandoah Mining Company was the target of a bitter strike by Silverton Miners Union-CIO, Local #26. Congress had just passed the "Wages-Hours" Act, which called for overtime to be paid for any hours worked in a week over 48. Chase reacted by cutting the base wage to compensate, and the miners struck. The Mill was the picket site. It was the depression, and the mining industry was in severe decline. At first, the Union had strong support from the ranks, but as time drug on, and paychecks didn't arrive, the men started to worry. There were no jobs anywhere else. On the night of August 28th, a meeting was held at the Union Hall. Outside, a mob had formed. A fight broke out, blows were exchanged, and the Union leaders were escorted from town for their own safety. The Miner's Union was dissolved by the agitators, and the strike was broken. Charges were filed with the National Labor Relations Board against Shenandoah, and, ironically, after 10 years in the courts, the company was convicted of unfair labor practices. Because of its almost continuous use since it was built, the Mill has always been kept in good repair. Although it was modified three times, the original interior machinery remains intact, and the exterior configuration is the same as when constructed. It was connected with the Shenandoah Mine across the Animas River canyon by a 10,000 foot aerial tram, the only tram constructed with metal towers in the San Juans. Using gravity for power, the tram carried the ore from the mine down to the mill, where it was crushed and processed using the flotation process, a system by which the ores are mixed with chemical reagents causing them to separate from each other and be "floated" off. All of the machinery remains as it was in August, 1991, when the final whistle sounded and the mill closed forever. In 1994, the Mill and the ponds were placed on the National Register of Historic Places. Because of its significance to San Juan County, the SJCHS approached Sunnyside and suggested the Mayflower Mill be donated to us. This was accomplished and in 1996, after 4 years of negotiations, the deed was recorded and the property transferred to the Society. 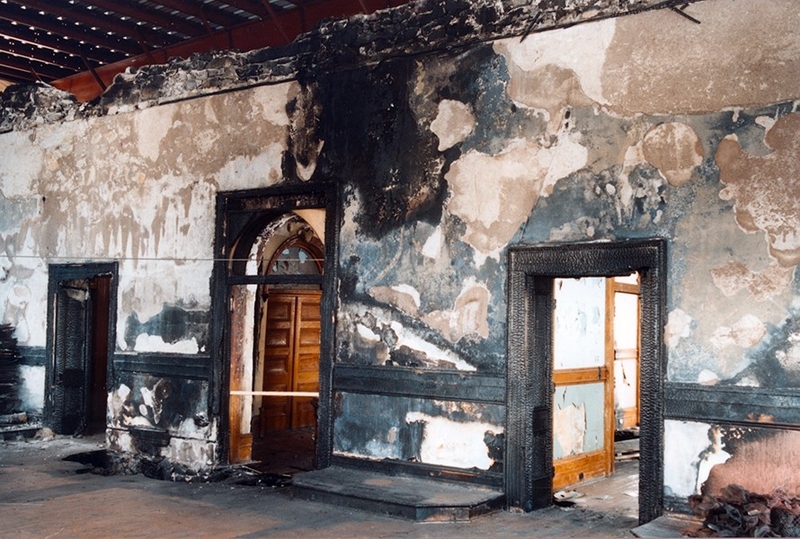 The Society was happy because it had preserved a nationally important property, the company was happy because of the great publicity, and the whole town was happy because one of the last remaining pieces of its heritage had been saved. A fairy tale ending, but, it is never that easy. After the preliminary discussions, both parties realized that many things had to happen. One was that Sunnyside would have to amend its reclamation permit. Doing that required going through the gauntlet of public agencies entrusted with that process and a series of public hearings. Equally daunting was that the Society had to research, in detail, the possible liabilities involved in taking possession of a former industrial site, albeit, an historic one. Due diligence for the Board's final decision had to be provided to our membership. Most of the Board of Directors had been involved one way or another in the mining industry. We knew that the Mill could potentially be declared a hazardous waste site. Certainly, any operation that processed chemical separation of metals for a period of 60 years, many of those years before modern environmental standards were imposed, could be so classified. In fact, this property had been listed by "CERCLA", (Comprehensive Environmental Response, Compensation and Liability Act), administered by the EPA. 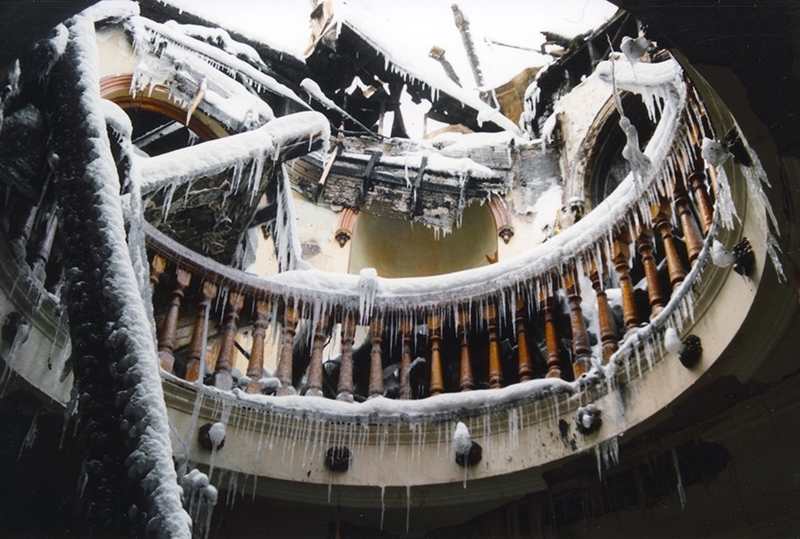 Were we putting the Society's assets (Museum and Archive) at risk? Second, were we risking any personal liability for the Board and/or our membership? The laws read that four classes of owners face cleanup liability: current owners, owner or operator at the time of operation, persons who arranged for treatment or disposal of hazardous substances at the property, and persons who transported hazardous substances to the property. The ONLY "innocent" owner is one that can prove that he/she inherited the property and had no link to any hazardous substances on the property. In other words, the way the law reads now, anyone in the title chain is liable whether or not they had anything to do with any contamination that may be present. On the other side, we also knew that Sunnyside Gold Corporation was implementing a 10.5 million dollar reclamation program which had won awards. We also knew that Sunnyside could not have its reclamation plan amendment approved to give us the Mill or be released from that part of its bond without a thorough cleanup and reclamation of that property. In fact, that was part of their conditions for donation, that the Mill property be completely reclaimed. We hired one of the best water law firms in the West to help us research our options and calculate our risks. This firm worked pro-bono, donating much of its work to the Society. From the firm's work, we found that there were certain laws protecting volunteer Boards of Directors from personal liability in cases like these, when due diligence is performed, and there is no "criminal" activity involved. At first, the donation included the tailings ponds, but after careful review, the Society decided not to accept them, mostly because it would be beyond our ability, as a small group of volunteers, to maintain them, even though they had been thoroughly re-contoured and reclaimed, to the point that they were listed as 'non-contributing" on the National Register nomination form. Several methods were used to help us become educated. One, we toured the sites within the 80 acres of donated property to monitor the reclamation. Sunnyside was very forthcoming, giving us access to reports, plans, and historical papers that pertained to the donated property. We also asked for and got information from the Division of Minerals and Geology, the Colorado Department of Health and the EPA. We also asked friends in both the industry and in the preservation world for their opinions and help. Another part of the picture; the Society also knew that it could not hope to take on a project of this magnitude with its existing limited finances. Understanding that, Sunnyside also included an endowment of $120,000 with the donation. Sunnyside, a wholly-owned subsidiary of Echo Bay Mines, Ltd., has also been generous with donations of mining equipment, adding to the Society's outstanding collection. Finally, in 1995, we were able to sit down at a meeting and make the motion to accept the Mayflower Mill, confidant that we had explored every avenue, and that the building was important enough to the history of San Juan County that it was worth taking what we deemed a "marginal" risk to save it. Later that summer, the Durango office of the Division of Minerals and Geology examined the site in detail and pronounced it clean. In the fall, Sunnyside's permit was successfully amended to allow the transfer. In June of 1996, Silverton commemorated the donation with a gala celebration featuring tours, the famous Silverton Brass Band and a barbecue. Concurrently with the aforementioned negotiations, we were also pursuing an "Agreement and Covenant Not to Sue" with the EPA. This agreement, eventually signed in 1996, had to be advertised in the Congressional Record and signed off on by the Judicial Department. As one of our Board members said, "This donation has been all the way to Washington D. C. and back!" This agreement was almost unprecedented at the time. Agreements like this, however, are becoming more common as large industrial sites lie vacant, unused and unsalable because possible hazardous waste problems may exist at the site. Our agreement, initiated and handled very ably by the Denver office of the EPA, holds the Society harmless from any contamination on the Mayflower Mill site before we took ownership. "HOLDS HARMLESS", very important words. It requires that the Society use the property for our stated use: preservation, tours and education. It does not unduly restrict the Society from using this property "for any lawful purposes". It does not hold the Society harmless for any contamination that we might be responsible for after we took ownership. The agreement also indemnifies the US Government against any lawsuit that the Society might bring against it. The EPA decided in this case there was "substantial public benefit' for this agreement. After spending most of 1996 in development, the San Juan County Historical Society opened the Mayflower Gold Mill Tour on May 15, 1997. Combined with other such attractions as the Old Hundred Mine Tour, the Durango and Silverton Narrow Gauge Railroad, and the Alpine Loop National Scenic By-way, the future preservation of the old Mill seems assured. MORE COMING! Check back to learn more about the San Juan County Historical Society's Preservation accomplishments.